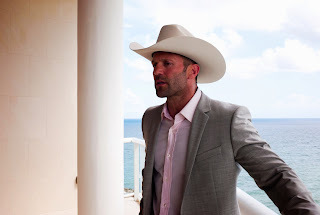 Release Date: January 25, 2013 – U.S.
"Parker" features British badass Jason Statham trying out a Texas accent and serious Broadway actors Patti LuPone and Bobby Cannavale hamming it up as hysterical Hispanic Floridians who sound like they just came from the old country. It's that kind of movie. On that note, Nick Nolte's voice is so scratchy that it seems like he inhaled a dozen cigarettes at the same time before each take. And if you're jonesing for more of Vic Mackey from "The Shield," Michael Chiklis plays the same type of role here – only this time, he's officially a criminal. Before all of that though, Statham is a priest and Chiklis is a clown. Of course, Parker (Statham's character) is actually none of those things. In reality, he's a thief with a British accent who operates out of Ohio. As the movie begins, he's working with a new crew. But there is, as they say, no honor among thieves – and Parker is left for dead. After that, the action switches to Palm Beach, Florida. Parker goes there to seek revenge. The opulent beachfront buildings and lush palm trees of Florida give the movie its own style and personality. It's a welcome change from the usual New York or L.A. backdrop seen in most films. This is where Parker dons a cowboy hat and attempts a Texas drawl. What Statham does with the accent can hardly be called mastering it, but he tries his best – I'll give him that. He poses as Daniel Parmitt of San Antonio. He's new in town and looking for a place – or so he says. That's where real estate agent Leslie Rodgers (Jennifer Lopez) comes in. She's so desperate for a sale – and the commission that comes along with it – that she hitches her wagon to the suspicious Parmitt despite the misgivings she must have. She's certainly fooled by his Texas twang though – even if we aren't. Still, convincing or not, his "master of disguise" routine is unique and makes the movie fun to watch. I suspect the casting of Jennifer Lopez was a turn-off to people who might have otherwise given "Parker" a chance (guilty as charged!) and that may have hindered the film's success at the box office. It doesn't help that Lopez was given top billing and promotion over the likes of Nolte and Chiklis, who are far more appealing names to an audience seeking action. J-Lo is a fine, capable actress, but she's the last person anyone would think of for something like this. Despite that, she surprisingly holds her own and delivers a realistic, credible performance in the midst of all the madness. Her presence keeps the film somewhat grounded. One of the best – and funniest – scenes involves Statham forcing J-Lo to strip in front of him. But he isn't doing it because he's a bad guy or pervert. He just needs to make sure she isn't wearing a wire. Seems reasonable enough! Nobody goes into a Jason Statham movie expecting great art. All anyone wants from him is a good time. "Parker" delivers that in spades. 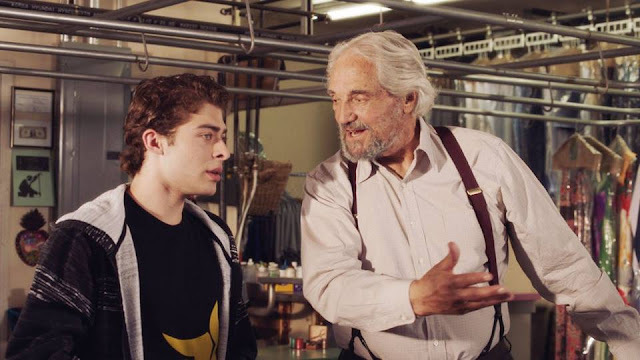 It helps that he's surrounded by great actors (Jennifer Lopez, Michael Chiklis, Nick Nolte, Clifton Collins Jr., Bobby Cannavale, and Patti LuPone) and a credible director (Taylor Hackford, "An Officer and a Gentleman"), all working from material originated by award-winning crime author Donald E. Westlake (writing as Richard Stark). These elements come together to give "Parker" a certain added pedigree that most b-movies lack.